Robert Bruce Zoellick (/ˈzɛlɪk/; German: [ˈtsœlɪk]; born July 25, 1953) is an American banker who was the eleventh president of the World Bank, a position he held from July 1, 2007 to June 30, 2012. He was previously a managing director of Goldman Sachs, United States Deputy Secretary of State (resigning on July 7, 2006) and U.S. Trade Representative, from February 7, 2001 until February 22, 2005. Zoellick has been a senior fellow at his alma mater Harvard Kennedy School since retirement from the World Bank in July 1, 2012. Robert Bruce Zoellick was born in Naperville, Illinois, the son of Gladys (Lenz) and William T. Zoellick. His family is of German origin and he was raised Lutheran. He graduated in 1971 from Naperville Central High School, graduated Phi Beta Kappa in 1975 from Swarthmore College as a history major, and received his J.D. from Harvard Law School and a Master of Public Policy degree from Harvard University's John F. Kennedy School of Government in 1981. Upon graduation from Harvard Law School Zoellick served as a law clerk for Judge Patricia Wald on the United States Court of Appeals for the District of Columbia Circuit. Zoellick served in various positions at the Department of the Treasury from 1985 to 1988. He held positions including Counselor to Secretary James Baker, Executive Secretary of the Department, and Deputy Assistant Secretary for Financial Institutions Policy. During George H. W. Bush's presidency, Zoellick served with Baker, by then Secretary of State, as Under Secretary of State for Economic and Agricultural Affairs, as well as Counselor to the Department (Under Secretary rank). In August 1992, Zoellick was appointed White House Deputy Chief of Staff and Assistant to the President. Zoellick was also appointed Bush's personal representative for the G7 Economic Summits in 1991 and 1992. After leaving government service, Zoellick served from 1993 to 1997 as an Executive Vice President of Fannie Mae. Afterwards, Zoellick was appointed as the John M. Olin Professor of National Security at the U.S. Naval Academy (1997–98); Research Scholar at the Belfer Center for Science and International Affairs at the John F. Kennedy School of Government; and Senior International Advisor to Goldman Sachs. Zoellick signed the January 26, 1998 letter to President Bill Clinton from Project for a New American Century (PNAC) that advocated war against Iraq. During 1999 Zoellick was, for a short period, the head of the Center for Strategic and International Studies (CSIS). Also during 1999, Zoellick served on a panel that offered Enron executives briefings on economic and political issues. In the 2000 presidential election campaign, Zoellick served as a foreign policy advisor to George W. Bush as part of a group, led by Condoleezza Rice, which called itself The Vulcans. James Baker designated him as his second-in-command—"a sort of chief operating officer or chief of staff"—in the 36-day battle over recounting the vote in Florida. Zoellick was named U.S. Trade Representative in Bush's first term; he was a member of the Executive Office, with the rank of Ambassador. According to the U.S. Trade Representative website, Zoellick completed negotiations to bring China and Taiwan into the World Trade Organization (WTO); developed a strategy to launch new global trade negotiations at the WTO meeting in Doha, Qatar; shepherded Congressional action on the Jordan Free Trade Agreement and the Vietnam Trade Agreement; and worked with Congress to pass the Trade Act of 2002, which included new Trade Promotion Authority. He also heavily promoted the Central American Free Trade Agreement over the objections of labor, environmental, and human rights groups. Zoellick played a key role in the U.S.-WTO dispute against the European Union over genetically modified foods. The move sought to require that the European Union comply with international obligations to use science-based methods in continuing its moratorium on the approval of new genetically modified crops within the E.U. Zoellick (right) with Jan Pronk, the United Nations' special representative to Sudan. On January 7, 2005, Bush nominated Zoellick to be Deputy Secretary of State. Zoellick assumed the office on February 22, 2005. The New York Times reported on May 25, 2006 that Zoellick could soon announce his departure. Zoellick agreed to serve as Deputy Secretary of State for not less than one year. He was seen as a major architect of the Bush administration’s policies regarding China. On September 21, 2005, Zoellick created a major stir on both sides of the Pacific by giving a remarkably candid speech to the National Committee on U.S.-China Relations. In the speech, he not only introduced the notion of China as a "responsible stakeholder" in the international community but sought to allay fears in the US of ceding dominance to China. In addition, Zoellick chartered a new direction in the Darfur peace process. During a trip to a Darfur refugee camp in 2005, he wore a bracelet with the motto, "Not on our watch." Zoellick was seen by many as the administration's strongest voice on Darfur. His resignation catalyzed groups, such as the Genocide Intervention Network, to praise his record on human rights issues. 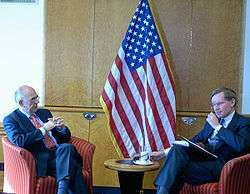 On 30 May 2007, President George W. Bush nominated Zoellick to replace Paul Wolfowitz as President of the World Bank. On 25 June 2007, Zoellick was approved by the World Bank's executive board. On 1 July 2007, Zoellick officially took office as President of the World Bank following nearly a year spent at Goldman Sachs. Finally, while the World Bank Group has some of the attributes of a financial and development business, its calling is much broader. It is a unique and special institution of knowledge and learning. It collects and supplies valuable data. Yet this is not a university – rather it is a “brain trust" of applied experience that will help us to address the five other strategic themes. During Zoellick's time at the World Bank, the institution's capital stock has been expanded and lending volumes increased to help member countries deal with the global financial and economic crisis; assistance has been stepped up to deal with the famine in the Horn of Africa; a major increase in resources has been achieved for the institution's soft loan facility, the International Development Association (IDA), which lends to the poorest countries; and a reform has been carried out to the World Bank's shareholding, Executive Board and voting structure, to increase the influence of developing and emerging economies in the World Bank's governance. On March 23, 2012, President Barack Obama announced that the United States would nominate Jim Yong Kim as the next president of the World Bank. On April 16, Kim was elected to head the World Bank; he took office on July 1. Kim was selected over Ngozi Okonjo-Iweala, Minister of Finance of the Federal Republic of Nigeria. The African Union Commission supported her candidacy. Another candidate, former Colombia Finance Minister Jose Antonio Ocampo dropped out of the race and fully backed the election of Ngozi Okonjo-Iweala. United States Secretary of State Hillary Clinton was frequently mentioned as a possible successor to President Zoellick at the end of his term in mid-2012. Clinton expressly stated that she had no desire to hold further political office. Since retirement from the World Bank, Zoellick took up the position at a senior fellow at Harvard Kennedy School’s Belfer Center for Science and International Affairs on July 1, 2012. During the 2012 United States presidential election, Zoellick was appointed to lead the national security portion of Republican candidate Mitt Romney's transition team should he be elected President of the United States. Anonymous sources, as reported in November 2012 by Foreign Policy, affiliated with Romney's transition project claimed he had been positioning himself to be appointed as Romney's United States Secretary of State. However, several anonymous former Romney advisers stated to Foreign Policy that foreign policy transition team members would not necessarily receive certain jobs in Romney's potential administration. This speculation was also fueled by Politico in August 2012, when it was reported that 'in diplomatic circles it is seen as very likely' that Zoellick "could get the top job" as Secretary of State in a potential Romney cabinet. Ultimately, Romney lost the election to incumbent President Barack Obama, thus ending Romney's transition efforts and, with it, speculation about Zoellick's role in a Romney administration. Zoellick in April 2000 received criticism when he intervened in the Mexican presidential election. As senior advisor on foreign policy to Republican candidate George W. Bush, Zoellick arranged the tacit endorsement by Bush of the candidate of the long-ruling PRI party, Francisco Labastida, the controversial former Mexican political-police chief who a few months later was to unexpectedly lose that election to Vicente Fox of the opposition PAN party. Zoellick had denied repeated requests by the Fox campaign to retract the tacit endorsement during the parallel campaigns. Zoellick has served as a board member for a number of private and public organizations, including Alliance Capital, Said Holdings, and the Precursor Group; as a member of the advisory boards of Enron and Viventures, a venture fund; and a director of the Aspen Institute's Strategy Group. As of 2 August 2013, Zoellick has been appointed by Temasek Holdings - Singapore’s state-owned investment arm, to its board of directors, as the company looks to start its first office in the United States. He has also served on the boards of the German Marshall Fund and the European Institute and on the World Wildlife Fund Advisory Council. He was a member of Secretary William Cohen's Defense Policy Board Advisory Committee. He is a member of the Council on Foreign Relations. In 1992, he received the Knight Commander's Cross of the Order of Merit of the Federal Republic of Germany for his eminent achievements in the course of German reunification. In 2002, he was awarded an honorary Doctor of Humane Letters from Saint Joseph's College in Rensselaer, Indiana. In 2005 Tom Barry, the policy director of the International Relations Center, wrote that Zoellick "regards free trade philosophy and free trade agreements as instruments of U.S. national interests. When the principles of free trade affect U.S. short-term interests or even the interests of political constituencies, Zoellick is more a mercantilist and unilateralist than free trader or multilateralist." Gavan McCormack has written that Zoellick used his perch as U.S. trade representative to advocate for Wall Street's policy goals abroad, as during a 2004 intervention in a key privatization issue in Japanese Prime Minister Junichiro Koizumi's re-election campaign. McCormack has written, "The office of the U.S. Trade Representative has played an active part in drafting the Japan Post privatization law. An October 2004 letter from Robert Zoellick to Japan’s Finance Minister Takenaka Heizo, tabled in the Diet on August 2, 2005, included a handwritten note from Zoellick commending Takenaka. Challenged to explain this apparent U.S. government intervention in a domestic matter, Koizumi merely expressed his satisfaction that Takenaka had been befriended by such an important figure… It is hard to overestimate the scale of the opportunity offered to U.S. and global finance capital by the privatization of the Postal Savings System." 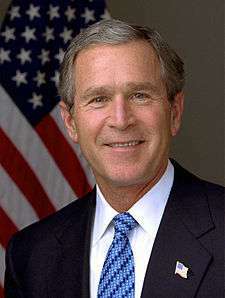 In a January 2000 Foreign Affairs essay entitled "Campaign 2000: A Republican Foreign Policy," he was one of the first of those now associated with Bush's foreign policy to invoke the notion of "evil," writing: "[T]here is still evil in the world—people who hate America and the ideas for which it stands. Today, we face enemies who are hard at work to develop nuclear, biological, and chemical weapons, along with the missiles to deliver them. The United States must remain vigilant and have the strength to defeat its enemies. People driven by enmity or by a need to dominate will not respond to reason or goodwill. They will manipulate civilized rules for uncivilized ends." The same essay praises the "idealism" of Theodore Roosevelt and Woodrow Wilson. Two years earlier, Zoellick was one of the signatories (who also included Donald Rumsfeld, Paul Wolfowitz, Richard Perle, Elliott Abrams, Zalmay Khalilzad, John R. Bolton, Richard Armitage, and Bill Kristol) of a January 26, 1998 letter to President Bill Clinton drafted by the Project for the New American Century calling for "removing Saddam [Hussein]'s regime from power." While in the position of Deputy Secretary of State, Zoellick visited Sudan four times. He supported expanding a United Nations force in the Darfur region to replace African Union soldiers. He was involved in negotiating a peace accord between the government of Sudan and the Sudan Liberation Army, signed in Abuja, Nigeria, in May 2006. Zoellick is considered an influential advocate of US-German relations. Fluent in German, he possesses considerable knowledge of Germany, the country of his family background. In the lead-up to the 2010 G-20 Seoul summit and in the immediate wake of the U.S. elections and subsequent Fed QE2 monetary-policy move, Zoellick published a noted call for increased awareness of the function of gold in international currency markets. This was misinterpreted by many economists as a call for the return of some form of gold standard in a post-Bretton Woods II world. The reaction of economists to this suggestion was largely negative, dismissing a renewed gold standard as unrealistic. Zoellick's response was to point out the misinterpretation: he did not advocate a return to the gold standard, but a new role for gold in currency markets as an alternative monetary asset, which he termed "reference point gold". 1 2 St. Clair, Stacy (2001-01-12). "Bush's trade post pick got start in Naperville". Daily Herald. Retrieved 2010-01-23. : "Whenever he is in Chicago on business, he drives by his old school and Bethany Lutheran Church where his family worshipped...."
1 2 "Press Release Regarding the Selection of Mr. Robert B. Zoellick as President of the World Bank", World Bank Group, June 25, 2007, accessed June 26, 2007. ↑ Reuters (2006). Goldman says Zoellick to be vice chairman, intl. Retrieved June 20, 2006. ↑ "Worldandnation: Mom dishes on Zoellick". Sptimes.com. 2007-05-31. Retrieved 2011-10-05. ↑ Becker, Elizabeth; Edmund L. Andrews (2003-02-08). "INTERNATIONAL BUSINESS; Performing a Free Trade Juggling Act, Offstage". The New York Times. Retrieved 2010-01-23. ↑ Harwood, John. "Zoellick Resigns From a Think Tank Amid Tension Over His Advice to Bush". The Wall Street Journal. ↑ Times Online (2006). Zoellick quits State Department for Goldman. Retrieved June 20, 2006. ↑ "US nominates new World Bank chief". BBC News. May 30, 2007. Retrieved May 22, 2010. ↑ "Zoellick, Robert B. - www.britannica.com". IPS. Retrieved 2009-04-08. ↑ "An Inclusive & Sustainable Globalization" (Remarks by Robert B. Zoellick at the National Press Club). October 10, 2007. Retrieved 2011-08-30. 1 2 "Development Committee: Communique" (PDF). April 25, 2010. Retrieved 6 October 2011. ↑ "Development Committee Communique" (PDF). September 24, 2011. Retrieved 6 October 2011. ↑ "IDA16 Replenishment". International Development Association. ↑ "IDA16 Replenishment" (PDF). International Development Association. Retrieved 6 October 2011. ↑ "US choice Jim Yong Kim is new World Bank chief". BBC News. April 16, 2012. Retrieved April 16, 2012. ↑ McGroarty, Patrick (2012-03-22). "Nigerian Receives Backing for World Bank". The Wall Street Journal. Dow Jones. Retrieved 2012-03-22. ↑ "Ocampo backs Okonjo-Iweala in World Bank race". Reuters. 14 April 2012. ↑ , Harvard Kennedy School website. Retrieved 2012-09-07. 1 2 Rogin, Josh (7 November 2012). "The Romney national security transition team that might have been". Foreign Policy. Retrieved 17 April 2013. ↑ "Regulators probe Enron stock selloff". BBC News. January 14, 2002. Retrieved May 22, 2010. ↑ Barry, Tom (14 January 2005). "Robert Zoellick: a Bush Family Man". CounterPunch. Salon Media Group. ↑ McCormack, Gavan (September–October 2005). "Koizumi's coup". New Left Review. New Left Review. II (35). ↑ Leonard, Andrew (29 May 2007). "Bush and the World Bank: Bloody but unbowed". Salon. Salon Media Group. ↑ Oliver, Chris, "World Bank chief calls for new gold standard", Marketwatch, November 7, 2010. Retrieved November 9, 2010. ↑ Zoellick, Robert, "The G20 must look beyond Bretton Woods II", Financial Times, November 7, 2010. Retrieved November 9, 2010. ↑ Harding, Robin, "Zoellick’s call on gold standard dismissed", Financial Times, November 8, 2010. Retrieved December 16, 2010. ↑ Zoellick, Robert, "Zoellick urges G20 to heed gold price", Financial Times, November 10, 2010. Retrieved November 10, 2010. Wikimedia Commons has media related to Robert Zoellick. "Robert Zoellick collected news and commentary". The New York Times. "Robert Zoellick collected news and commentary". The Wall Street Journal.